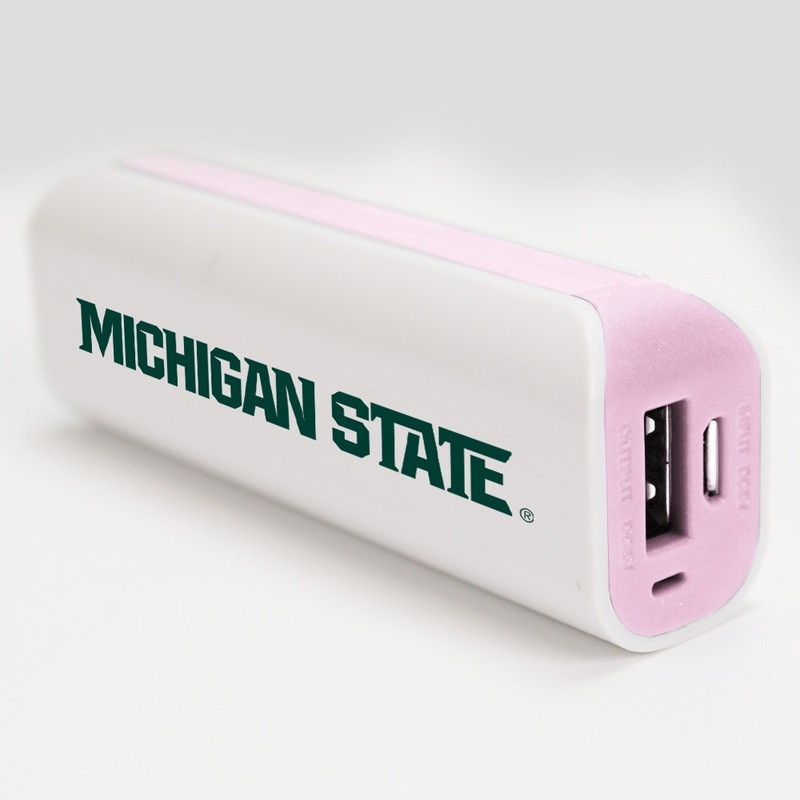 Staying connected has never looked so good! 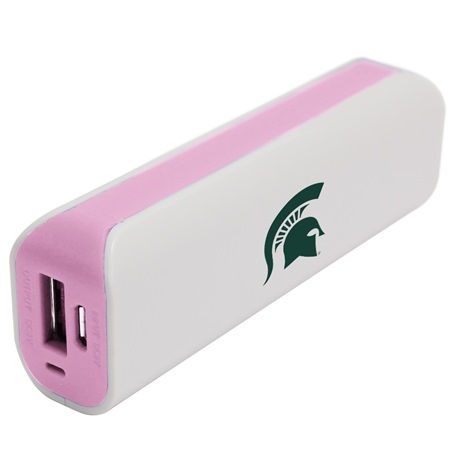 You won’t have to worry about your mobile devices running out of power when you’ve got the Michigan State Spartans pink 1800GS USB Mobile Charger on your side. 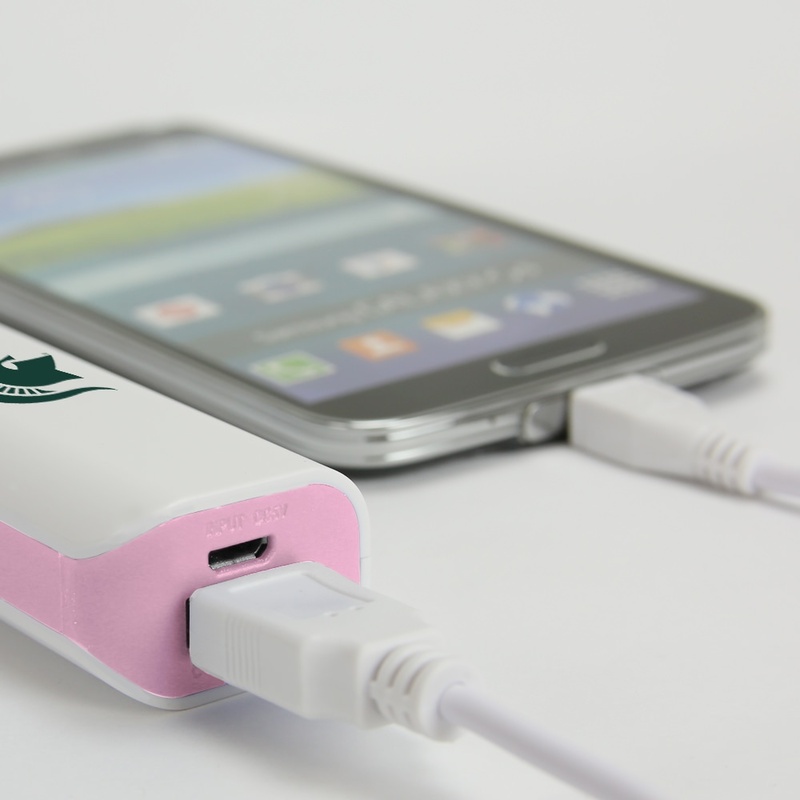 It breathes life into your mobile devices and it’s easy on the eyes with its luminous pink color. 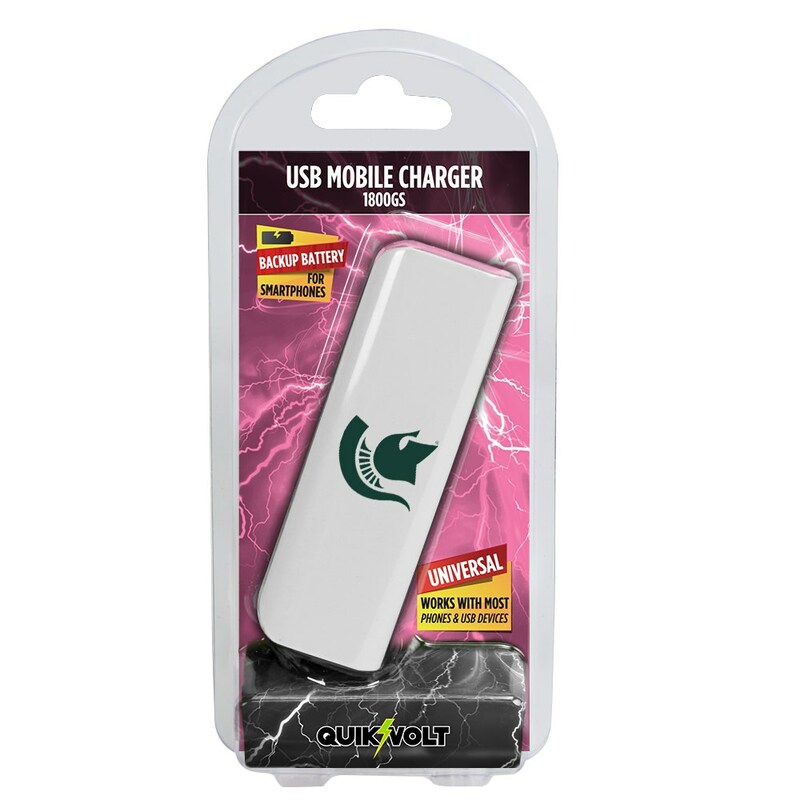 This striking pink charger comes with a rechargeable 1800mAh battery for extended runtime or quick charging.